The Crew deserves a lot of credit for having a vision of open world playground that multiple friends could join together in. We have seen this semi-MMO approach in non-RPG games like Destiny of late, and The Crew tries to leverage this line of thinking for the racing genre. Largely The Crew succeeds with this, but the game is a mixed bag in other, critical areas, when everything is said and done. 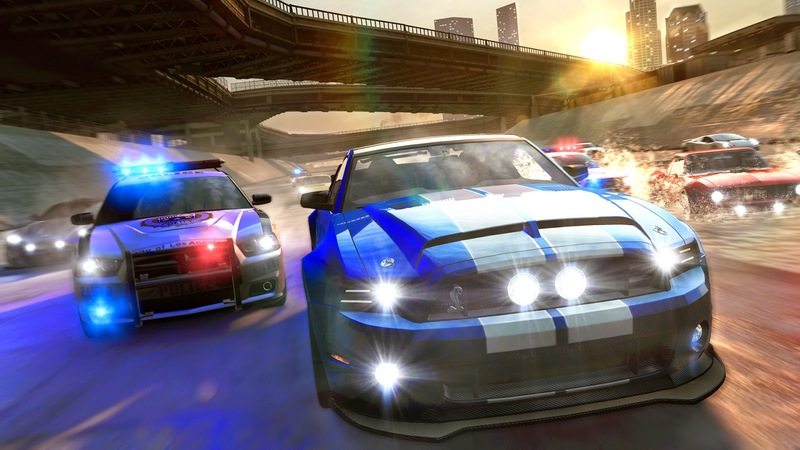 When it comes to the social game, in encouraging people to form crews of friends to hoon around the virtual landscape, The Crew is a racing game that on a technical level does what it needs to, and it's at its best. Where the game struggles is in some of the single-player balance later in the game. Some missions are as frustrating as pulling your own teeth out unless you tackle them with a friend, and it will limit your enjoyment of the game if you prefer to play your games solo. But at least it's a frustrating experience in a lovely open world. While this is not a fully realised version of the United States, driving from 'coast to coast' is still fun as you navigate through representations of famous cities. The map feature looks slick and works well, giving you a birds-eye view of the surrounding area and nearby points of interest, then zooming back down onto your car when you exit it. The number of missions off of the story's beaten path are excessive, and familiar territory for anyone who has played another Ubisoft open world game. Here the quests are all of racing nature obviously, such as sloloming between flags or trying to get enough distance on a jump. It's fun with friends, but unfortunately a poor story (though credit for actually trying to tell one, it just is not very engaging) is joined by rubber band AI racing that rewards persistence over skill really let the long term appeal down. Worse, ever-present aggressive microtransactions work to drain the fun out of the experience. As a consequence I gave up trying to finish the game. Rather, I spent the majority of my time cruising around the cities looking for something new to explore instead. Unfortunately I was let down there too because the game does not really unlock until you plug through chunks of the story. It is also worth noting that visually, The Crew was rather disappointing. There is some nice atmosphere in places. I enjoyed rolling into a new city and seeing some storm clouds in the distance or sunlight poking around and through the environment, but the cars look bland compared to other titles released on this new generation of consoles, such as Driveclub and Forza Horizon 2 come to mind. The cities look adequately busy but it feels like The Crew was meant to always be played fast. When I took my time driving slowly around a city looking around, the level of detail was just not impressive. Some of the details are lacking too. The mirrors are just grey blobs as well, unlike some other racing games where they are functional and reflective of other cars around you. Even the car interiors lack the detailed, authentic appearance of other racing games now. The need to always have an online connection to the game makes sense given the context for what Ubisoft is trying to build here, but that does not make it mildly annoying. What happens if the PlayStation Network is down? You lose access to your game. We have seen more of this lately and I suspect that the trend will continue, but it is worth noting. The racing itself is of the more arcade variety, which I think was a good choice. Hitting signs and other cars should not be your objective in The Crew, but it is not a significant penalty either. 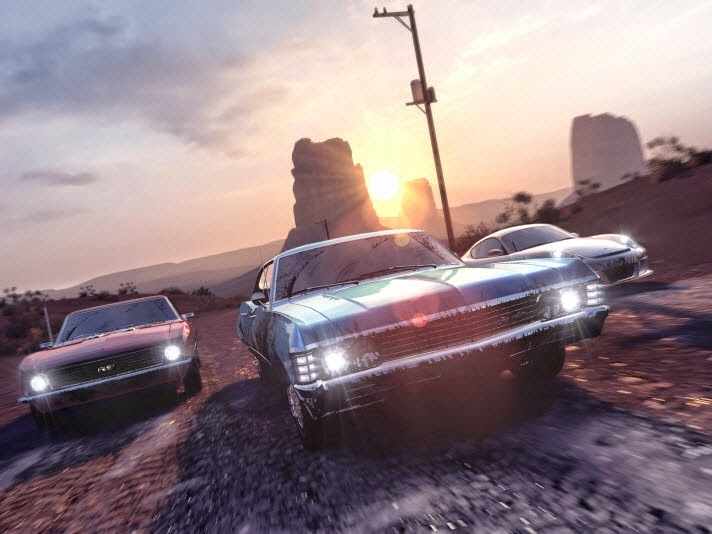 Give that The Crew wants you to play at high speeds, the forgiving controls and environmental collisions helps to make the experience more fun when a more simulation-heavy experience would have bogged things down. The computer-controlled traffic does not hold up quite as well, however. Too often cars make decisions that seem odd - from random stops and swerves to borderline ignorance of what colour a light is. This does not happen all of the time, but the instances where it does occur breaks some of the immersion. 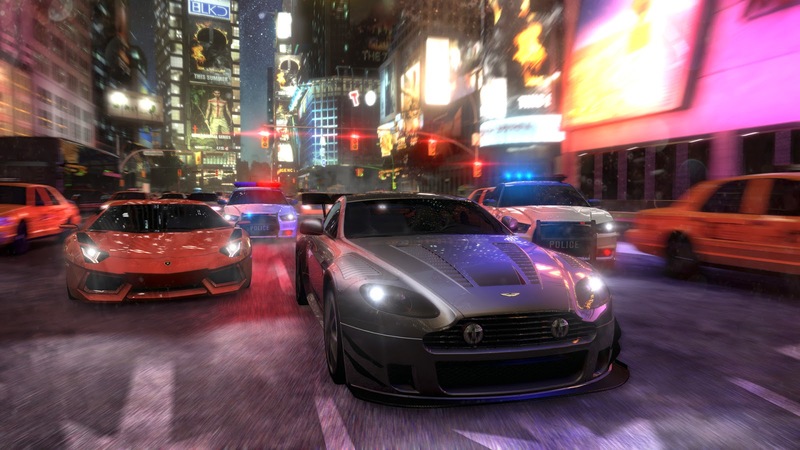 Item Reviewed: Review: The Crew (Sony PlayStation 4) 9 out of 10 based on 10 ratings. 9 user reviews.